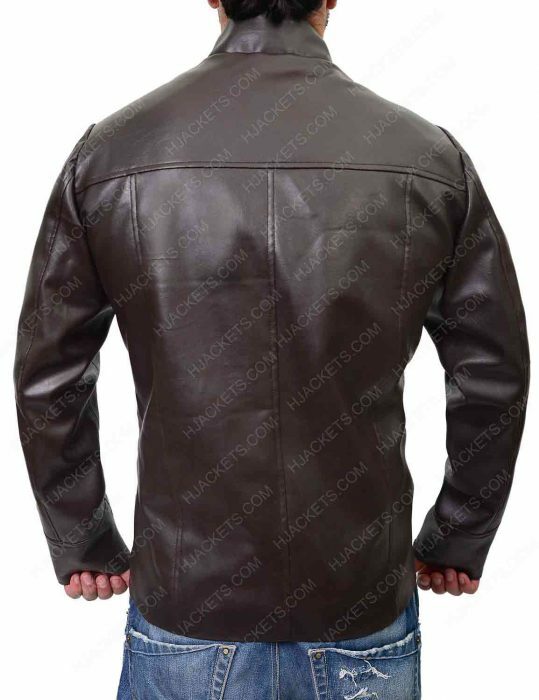 Handsomely fabricated and delicately built mens leather jacket inspired from one of the recent Star Wars character of Poe Dameron. Constructed with real leather and sleek slickly intertwined in with a smooth viscose lining on the inner dimension. 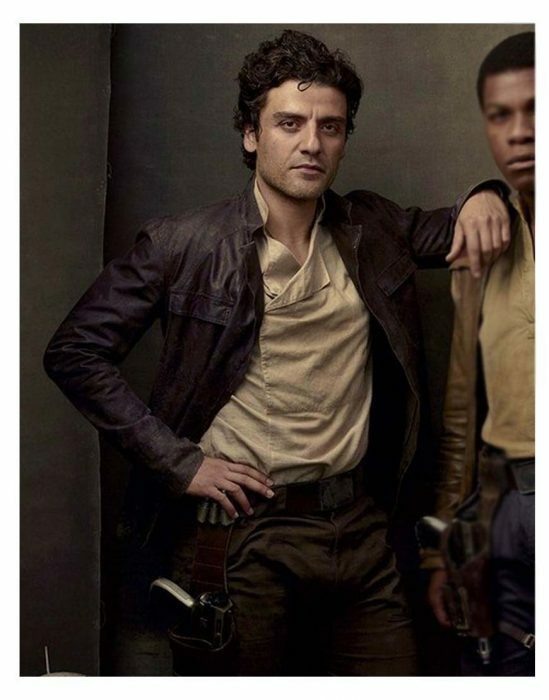 This Poe Dameron Last Jedi intrigues Oscar Isaac Jacket is one of the gentlemen causal attires gone terrifically trendy. Moreover, this cosmic terrain materialized garment has a huge fashion following audience due to its brandish audacity. The facets nurtured on this attire includes a stand collar anticipated over the top, a premium chocolate brown matte finish and two flap pockets on the front for letting you keep your items aside you. 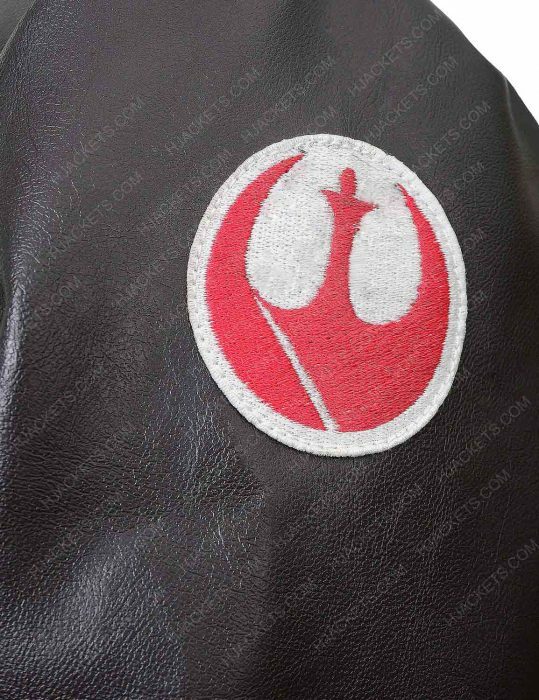 An outfit that best fits your wallet cash with Star Wars The Last Jedi Jacket. In order to let you don up a garb profusely the grandees way. Artistically comprised outfit with overall bold styling Simply amazed to see the artistic craftsmanship done on this outfit, which is very unique and elusive from the other apparels. I got my ordered delivered just three days back, and i was very amused to see the riveting fabrication done on this apparel as exactly defined here. The most alluring thing which enthralled me in this outwear is its Bold stand up collar, which i think makes your personality highly smart and gives you a robust appearance. So just want to say thanks to hjackets for this wonderful masterpiece, and do want to recommend this attire to everyone who are looking for something firm and solid. High quality apparel for bold personalities If you want something dominant as well as classy, i would recommend this outfit to get it ASAP from here. As its bold collar styling and artistic front fabrication makes it one of the best i've ever seen. So if anyone wants to buy something extravagant in cheap pricing, this is the outfit you should go for and grab on quickly. 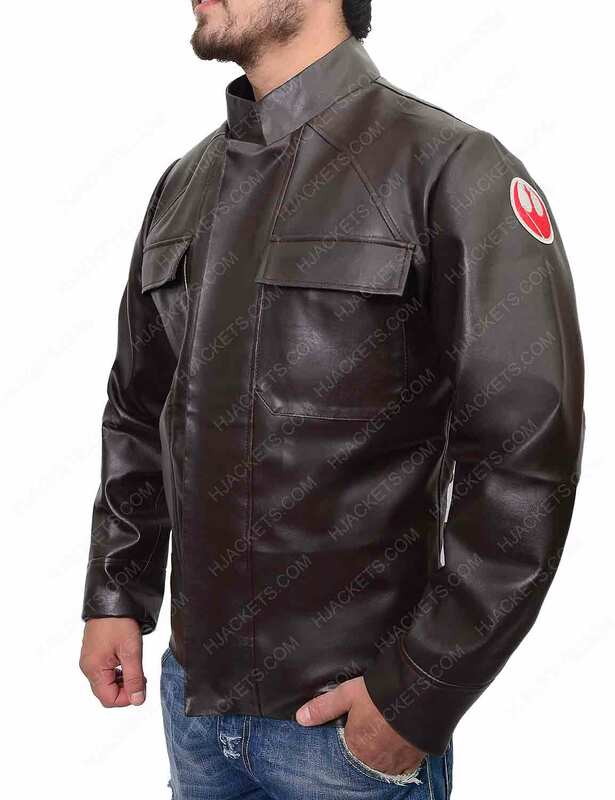 amazing piece from Star Wars I ordered the amazing piece of Star Wars The Last Jedi Poe Dameron jacket that attracts me a lot. In this jacket, I found a lot of good things which increase the charm of my apparel. I want to share these qualities in my review so that other customers can also avail the opportunity. First of all, I will discuss the quality of the jacket. When I touch the jacket it feels really soft and I wore it I feel really comfortable. 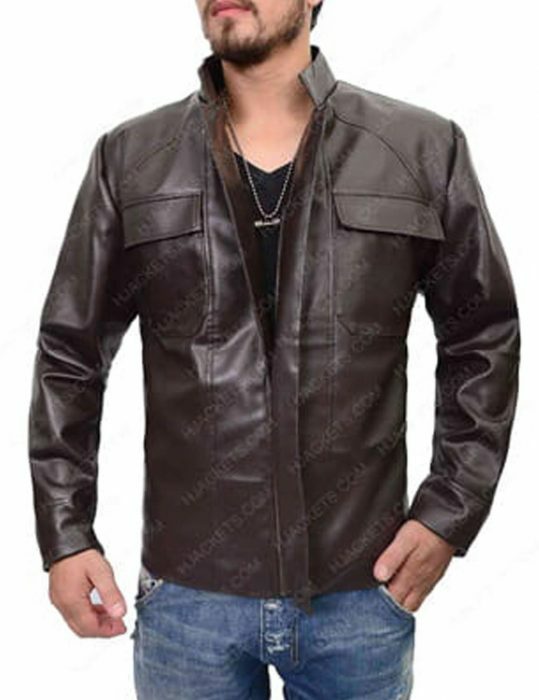 The jacket is made up of high-quality leather that allows me to use for many more years. This attire also includes inside viscose lining that makes me feel relaxed all the day. Next, the delivery of the product was on time that makes me satisfied with the online shopping. The fast delivery allows me to wear this jacket on the decided day. Now, let me share the features of the jacket. The best thing is that all the features are exactly same as mentioned in the specification. The collar, flap pockets, and zipper closure look really impressive. Overall, I am impressed with my purchase, everything was according to my choice. I love everything in this jacket. The color slightly differed but it was ok. I would definitely recommend this jacket. Thank you HJackets.com for an appealing piece. Exquisitely styled outfit with creative fabrication Just simply in love with this fantastic outfit, as being a dire Star Wars fan, i always wanted this apparel to have in my wardrobe but wasn't able to find it anywhere. Luckily got this outfit here and quickly made an order for it. And what amazed me most is their quick delivery time and the sizing of the outfit which fitted right according to my measurements. So would surely recommend this to all Poe Dameron fans as you won't gonna find such fantastic apparel anywhere. Quality outfit in smart pricing I am literally very amazed with the quality and craftsmanship of this outfit, as it looked as according to as described here. I've made an order for this outfit around few days back and just got delivered quickly too, which also shows the quick response of the hjackets team. What enchanted me most about this outfit is its classy front fabrication which makes it best among the lot. Thanks hjackets for this wonderful craft.